BRYAN EATON/Staff photo. 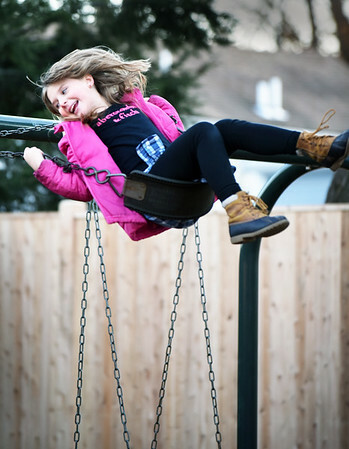 Regan Clyatt, 9, rides high on the swing at the playground at the Brown School on Monday afternoon. She and her fellow Brownies from Troop 89109 were waiting for their meeting to start inside for their "cookie kickoff" of planned Girl Scout Cookie sales.